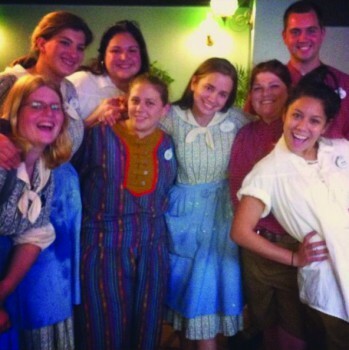 Bryan Palmer (far right) with friends in the Disney College Program at Disney World. Photo provided by Bryan Palmer. Many of us have been to Walt Disney World in Orlando or at least heard of the magic that is created there, but have you ever wondered who creates that magic? It’s you! Well, at least it’s people like you, college students. I attended Northern Illinois University for my first semester. It was a fine university, had 25,000 students and my 8am math class on Monday had 189 students, but NIU wasn’t for me. At the same time I worked on finding new schools, I also applied for what I thought to be a shot in the dark: the Disney College Program. I passed the interview process, called my parents, and a month later I was on a plane flying to central Florida. Did I have a clue of what I was getting into? No, but Disney sure does know how to take care of their cast members. They set me up with a three bedroom, two-bathroom apartment with five other college program guys. It was a gated community of apartments with full-time security at the front gate. There was a full outdoor basketball court, an exercise room, three tennis courts, two pools and a hot tub. Other goodies included free access to all the parks, along with discounts on everything except for food. I was also given several park hoppers for my friends and family to use, which really worked out well when my parents came down to visit me. They started me out at a beautiful building they called Casting, filled with artifacts, statues and plenty of tributes to the one that started it all: Mickey Mouse. I found out that I would be working in food and beverage services at Magic Kingdom in the west side of the park with Adventure Land, Frontier Land and Liberty Square. Then I was taken over to Disney University (yes, that exists! ), and got a full lesson on everything Disney. They took us down through winding tunnels to a classroom to be brainwashed into a cast member. I say brainwashed because that’s really what it was. I was now working for the Walt Disney Company; there’s a standard that comes with bearing that name, and I was to fit every aspect of that. I was guaranteed to work a minimum of 30 hours every week. That left me with plenty of time to go to the parks, lay in the sun and just take full advantage of being in Orlando instead of snowy Chicago. I was handing out ginormous turkey legs and working in the kitchen, too. It was a real job with really high standards. I learned an incredible amount about the real world, much more than I could’ve ever learned from a textbook. I didn’t work directly with the characters, but I was around them at all times. On one of my first lunch breaks I went downstairs and had lunch at the Mousketeria. I’m sure I looked very nervous when a woman who played Ariel offered to show me around the food court. I sat with her and her friends who were also characters. I was having lunch with two Ariels, two Cinderellas and a Mickey Mouse. My childhood fear of mascots went away pretty quickly. All the characters are from the same college program I was in. All the ride attendants in charge of your safety are from the same college program I was in. There are 3,000 college program students working there at a time. They are the ones creating the magic that makes Disney so special. 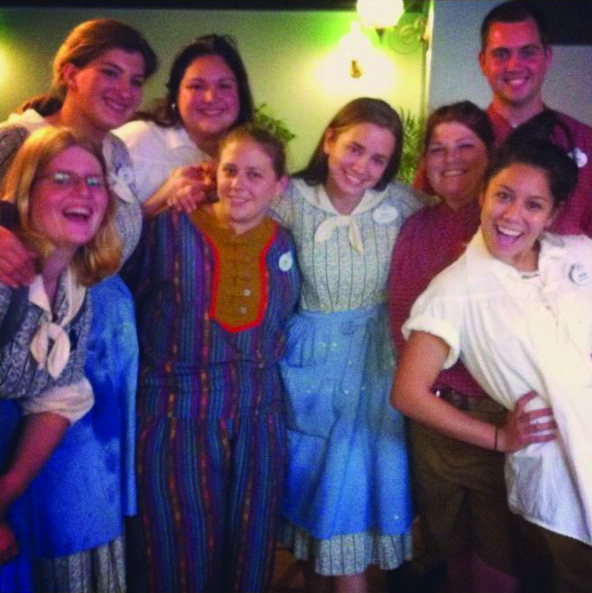 If you don’t believe me, next time you go, look around at the cast members. Everyone always says that going to college can make your dreams come true. I would say that while being in college you can make thousands of other peoples dreams come true, too.